Why Do We Develop Scar Tissue? The Graston Technique® is one of the most innovative treatments for chronic musculoskeletal dysfunctions. It is one of the most popular treatments performed on the best athletes in the world. The technique is aimed at ridding problem areas of scar tissue or adhesions that alter the normal function of the muscles and other connective tissue. It is common knowledge that we get scar tissue after a bad cut or a surgical procedure, but we also get scar tissue with over use of an area. I’m referring to repetitive overuse injuries. These are problems that develop gradually due to the constant demand placed on them. This causes the area to fatigue which causes a local metabolic change that promotes the creation of scar tissue. The scar tissue then prevents the normal relaxation and contraction of the muscle. This shows as muscle tightness, trigger points, excessive tension, and stiffness. Your first appointment with Denver Chiropractic, LLC will last 40 minutes and will include a consultation, examination and your first Graston treatment. We may suggest other complimentary treatments that we offer to help accelerate the healing process, such as dry needling, cold laser therapy, kinesio taping, or other therapies. Your follow up visits are 20 minutes long Getting the most of the Graston technique usually takes some where between 6 to 12 treatments. Occasionally you may need maintenance visits to keep your progress. Repetitive overuse injuries are usually due to your job, which you will of course continue after your therapy. Your first appointment with Denver Chiropractic, LLC will last 40 minutes and will include a consultation, examination and your first Graston treatment. We may suggest other complimentary treatments that we offer to help accelerate the healing process, such as dry needling, cold laser therapy, kinesio taping or other therapies. Each follow up visit last about 20 minutes. Getting the most of the Graston technique usually takes some where between 6 to 12 treatments. Occasionally you may need maintenance visits to keep your progress since repetitive overuse injuries are usually due to your job, which you will of course continue after your therapy. If you would like more information on the research, professional sport team and university affiliations, please go to the official Graston Technique website. To request a Graston Technique appointment, contact our office today! The main benefit is the reduction of scar tissue that is preventing the normal function of the muscles and other connective tissue. The technique will aide in the restoration of normal range of motion of the affected area and will reduce muscle tension and tightness. Pain reduction is at accomplished with the first visit. The absolute most important benefit is a quick return of function to the area, getting you back to performing what you need to do. There are six tools utilized in the technique. Each tool is made for particular areas of the body. They are fashioned out of stainless steel and each are used in a particular manner. There are many conditions that successfully respond to the treatment, but the most significant problems that I have seen respond are auto accident injuries and disc herniations. 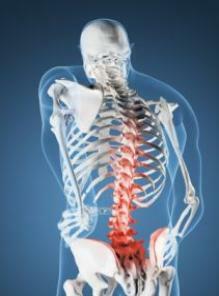 Car accident injuries such as whiplash or bulging discs typically plateau with traditional care. As a Denver chiropractor that specializes in the treatment of car accident injuries, one of my most powerful tools is the Graston Technique. I have seen it time after time help people get past that last little bit of healing needed from car accident injuries.